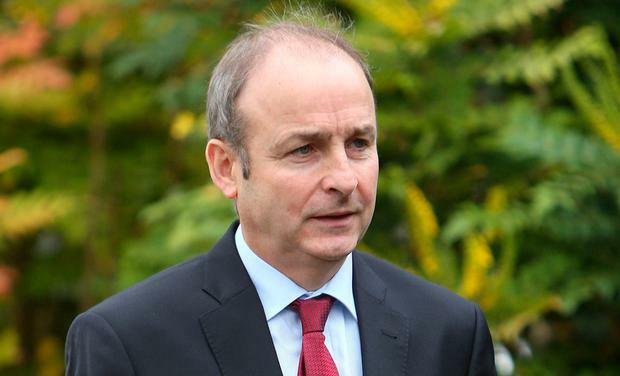 A Senior Fianna Fáil TD has insisted Micheal Martin will not apply a party whip on the forthcoming abortion legislation. Sligo-Leitrim TD Marc MacSharry said he believed the Fianna Fáil leader will continue to allow party members to vote with their conscience on new abortion laws. Mr MacSharry voted against repealing the Eighth Amendment of the Constitution but insisted he will personally vote in favour of legislation which will allow abortion up to 12 weeks of pregnancy. At a Fianna Fáil parliamentary party meeting on Tuesday, the party’s public expenditure spokesman Barry Cowen insisted members should offer to sign up to a party whip on abortion laws. “Micheál Martin didn’t say that. One member made a contribution, they made that suggestion it was a personal view but I don’t think it will be necessary and I don’t think it will be done. “I don’t see a need for a whip in the first-instance. I know some will choose to abstain, I myself will be supporting,” he added. Mr MacSharry said he does not believe the confidence and supply agreement with Fine Gael should be continued for “a period” after the budget but not for another two year. He said once the current agreement has expired every issue should be examined on a “case by case basis”. He said the confidence and supply agreement has “served system not the people”. Mr MacSharry also said party leaders should not rule out coalitions with rival parties before the next general election.